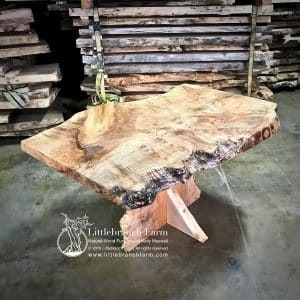 Maple burl dining table with fire charred western cedar base. We also welcome custom furniture orders. Please call or email out design team. 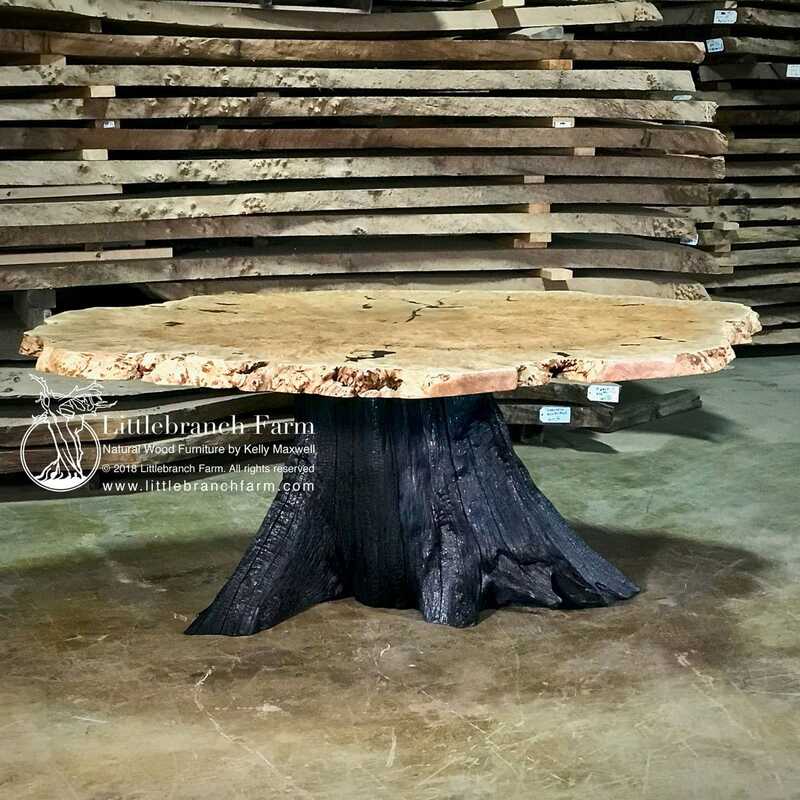 A fire charred western cedar stump serves as the foundation for this maple burl dining table. The live edge burl wood slab is a massive 7′ by 62″ Bigleaf maple burl. 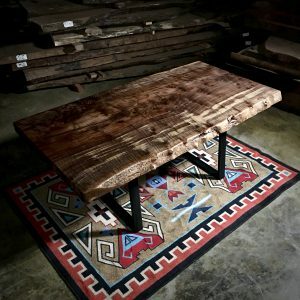 This live edge table is complemented by a triple charred western cedar tree stump base. 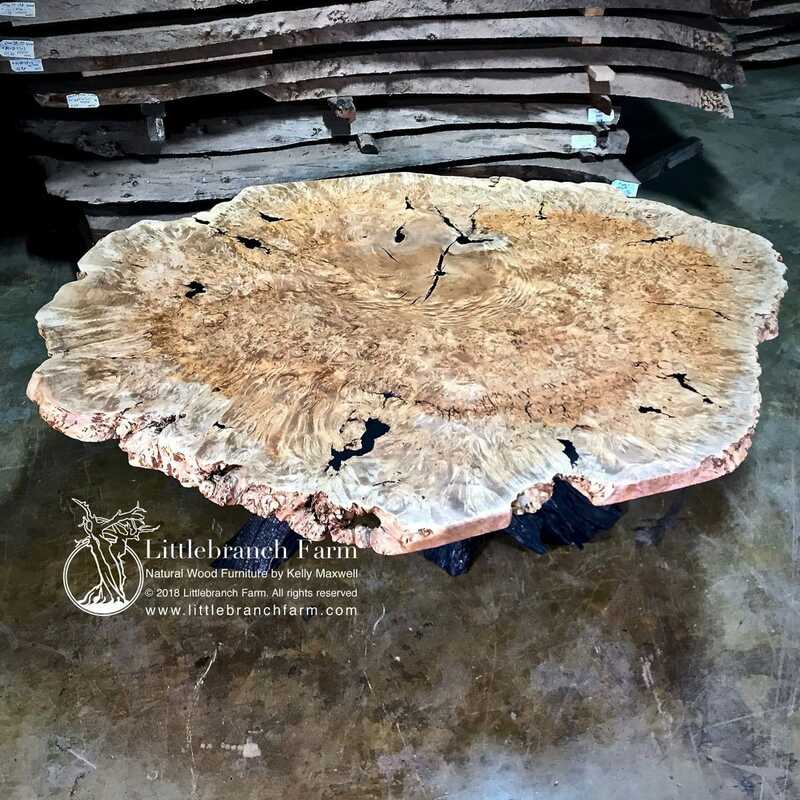 You may also notice the rich burl wood grain patterns and complex color tones found in this wood slab. It is also finished with a durable matte finish that is easy to care for. 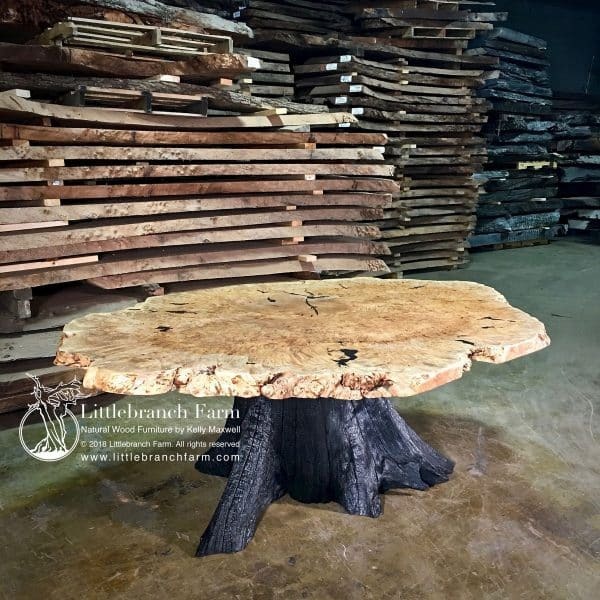 Each natural wood table at Littlebranch is designed and crafted by our custom furniture makers. Special care is taken to bring out the natural beauty found in the natural wood used in our rustic style live edge furniture. We also proofer to use air dried wood that is not only native to the USA but is ethically sourced. What does ethically sourced mean? Basically, we use salvaged logs, roots, and dead standing trees. 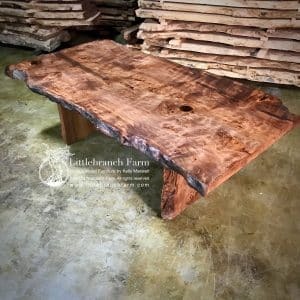 Along with our maple burl dining table, we also build rustic beds, office desk, and rustic vanities. Our studio/gallery is located in the heart of Nashville, TN. We are just a few blocks from lower Broadway and the honky tonks such as Ole Red and FGL place. So if you are in the market for custom rustic furniture plan give us a call or email. 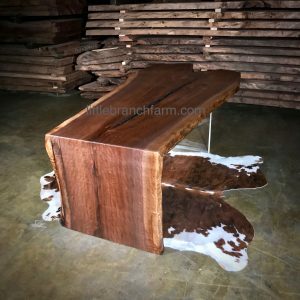 Also, you may want to plan a trip to Music City to visit Littlebranch Farm to view or order our custom furniture such as our burl dining table.